The excitement was so contagious at the West Side STEAM Fair. 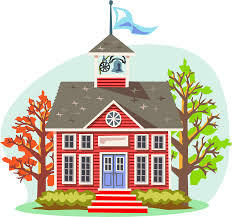 Younger students kept peeking into the gym asking if and when their class would get to visit. 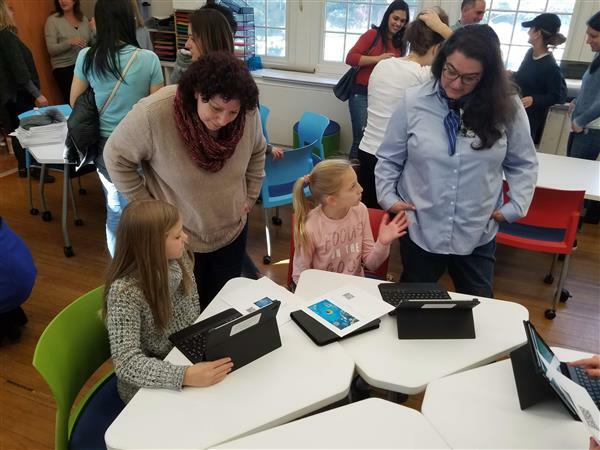 Dr. Bellino shared, “The authentic student-designed projects offered students the opportunity to engage in designing their own investigations, asking questions, exploring possible . 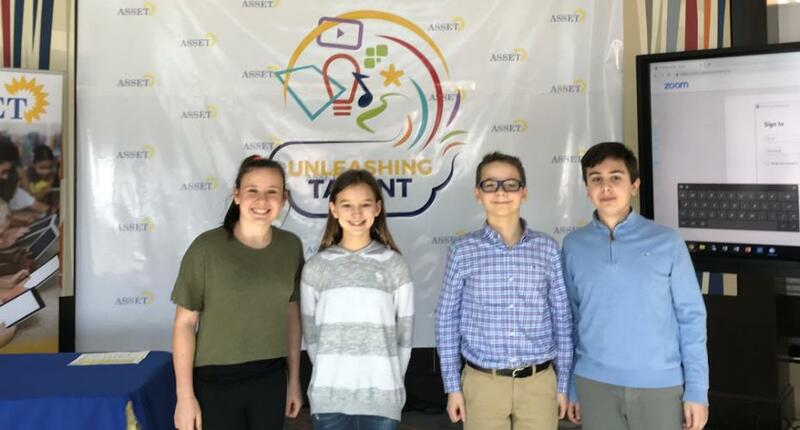 . .
Four 6th-grade students attended the Long Island ASSET Conference, “Unleashing Talent,” an association dedicated to promoting the integration of technology in instruction. Congratulations to . 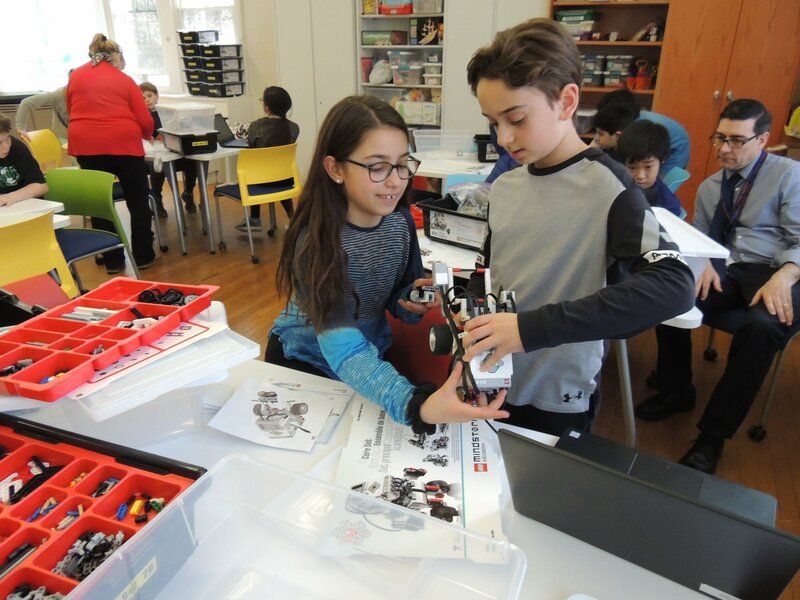 . .
Fifth grade students prepare their Lego Robotics projects with their teacher, Mr. Powers, for the upcoming STEAM Fair on April 9th…using various sensors on the robot to detect and avoid objects, along with using sounds and displays to give their robot personality! Each year, Physical Education teacher, Mr. Forbes, accepts the challenge from his students to dress in character. 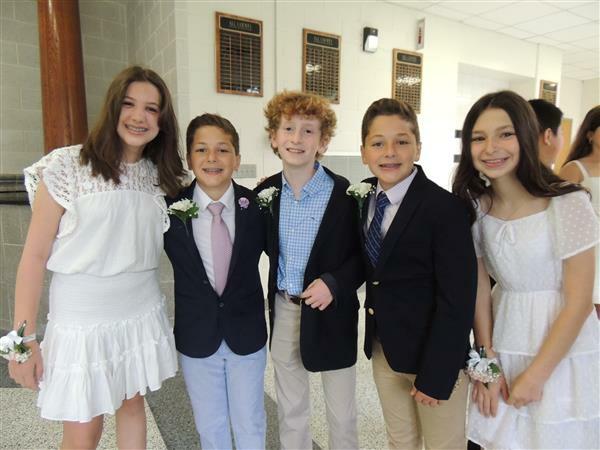 For the Jump Rope for Heart fundraiser, students set a goal to raise $4000. 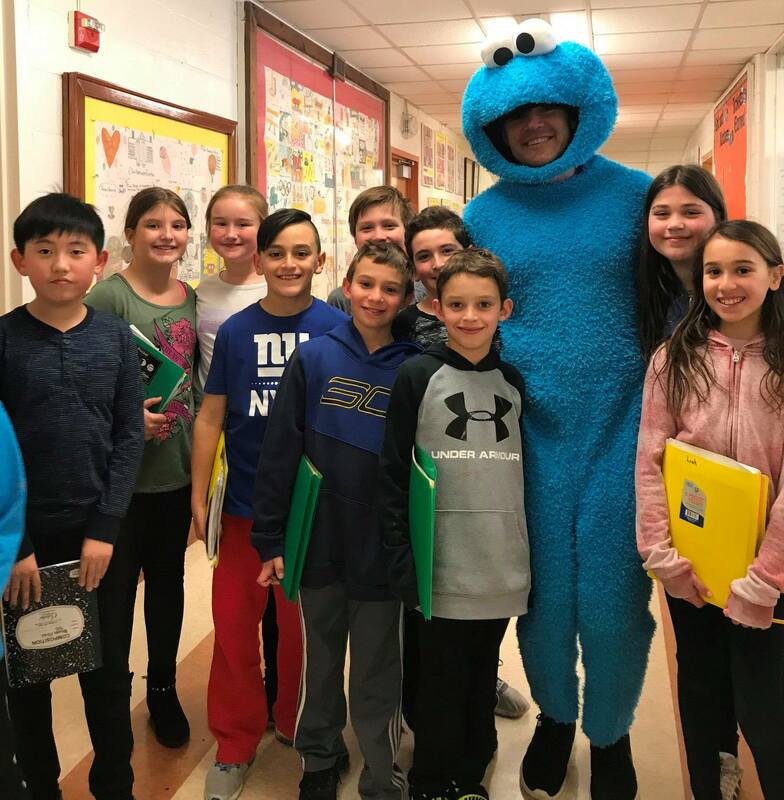 Mr. Forbes agreed if they surpassed their goal, he would dress up as the character the students chose. Last year, he dressed up as a Troll,and this year it was Cookie Monster! Kudos to the kids for far surpassing their goal, by raising $5,914.00 for the American Heart Association. West Side School's Annual Sports/Game Night was held on March 10th for a fabulous night of fun playing Newcomb ball in the gym, Bingo in the community room, & a delicious pasta dinner while playing board games in the WS cafeteria! 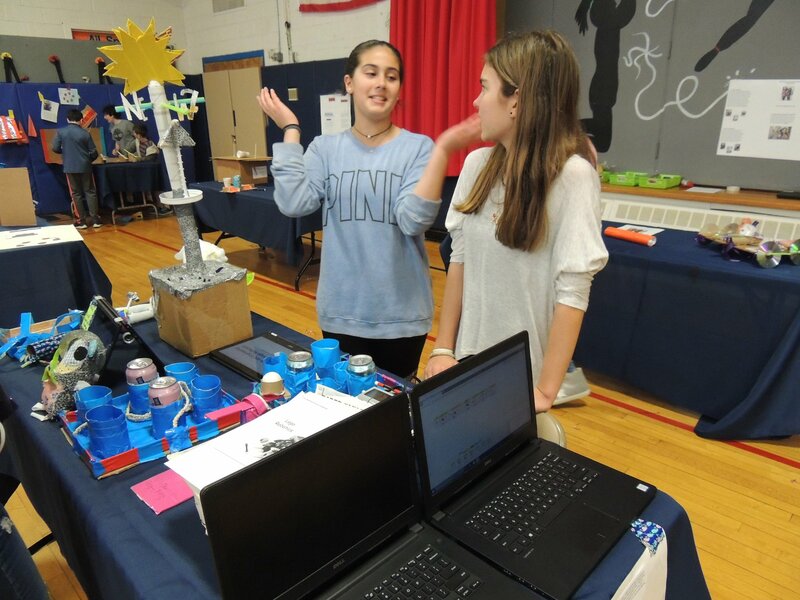 Students at the WSSPTG/FOCUS meeting presented their research projects to parents. Students conducted research on topics that they found interesting. Mrs. Kleiner’s 3rd graders explore the steel drums. 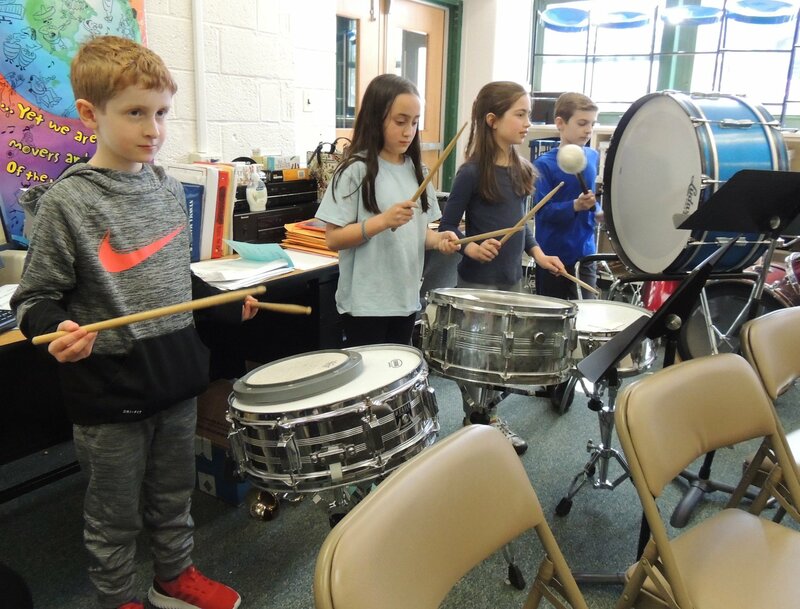 Through an exploratory and “hands on” approach, 3rd graders are given the unique chance to play several different orchestral and band instruments for the instrumental and general music program. In this way, students get to know which instruments they most enjoy and play with ease. The orchestra and . 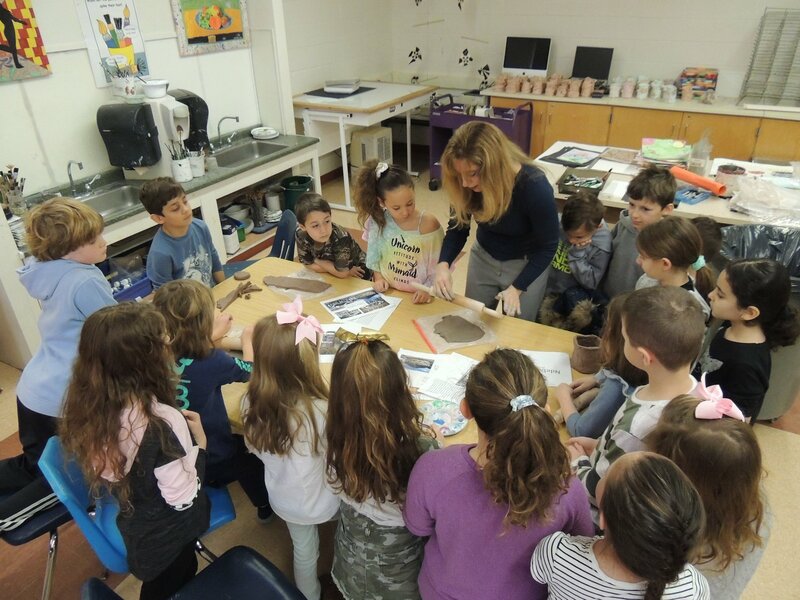 . .
Art students learn about Ndebele Houses: In 1883, the South African tribe of Ndebele people were fierce warriors and large land owners, however the loss of war brought harsh life. Expressive symbols on their homes told of there suffering and grief, and was a form of communication. It became a secret code of cultural art, disguised to anyone but the . 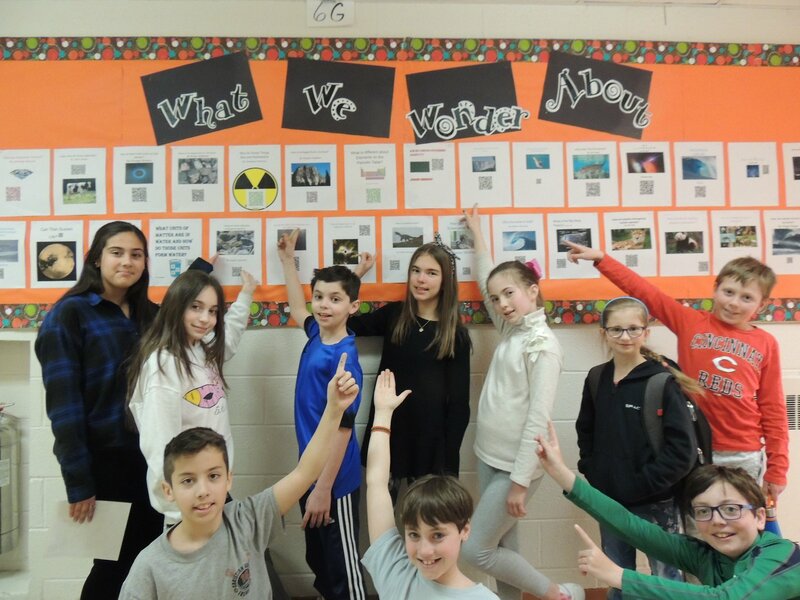 . .
Fifth graders at West Side were challenged to ask themselves “What do I Wonder About?” They wondered about many things, including; why is the ocean blue, what exactly is the Big Bang Theory, can Titan sustain life, and how exactly do leaves change color? Then they created presentations about their science research. Using the district databases, they . . .